One of the more anticipated motorcycles at the 2014 EICMA show, off-roaders were expecting to see the new Honda Africa Twin in Milan this week. Instead, Honda trotted out what they’re calling the “True Adventure” prototype. Despite not being a production model, the True Adventure prototype looks ready for prime time, and we got a series of “up-close” photos of the machine. 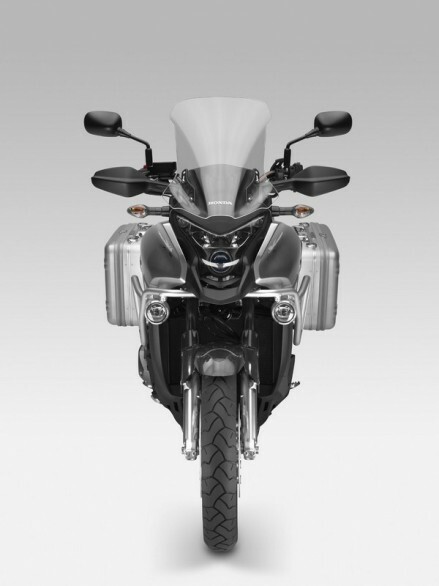 Most obvious is the bike’s parallel twin engine, which is rumored to be 1,000cc in displacement. That sizing/weight class seems to jive with the dual front brake discs, which also sports an ABS tone ring. We can expect Honda to have traction control operating off the front and rear wheel speeds as well, and other electronic packages as well. Less noticeable is the fact that the Africa Twin prototype doesn’t have a clutch lever or gear shifter on it. Whether its an overshight from Honda, or the sign of a new shifting mechanism from the Japanese manufacturer is up for debate, but it’s an interesting development, for sure. Check out the photos after the jump, and let us know if you see any other details from the muddied and camouflaged show bike. Honda doesn’t have any actual new bikes to show at the 2014 EICMA show, but it did bring two “prototypes” of the bikes we most eagerly wanted to see from Big Red. We already posted about the Honda RC213V-S prototype street bike with MotoGP blood, and here we have what Honda isn’t calling an Africa Twin, just yet. The long-rumored dual-sport looks quite similar to the renderings we have already seen, and Honda is using the working name “True Adventure” for now. Expected to be based off the company’s Honda CRF450 Rally race bike, the prototype diverges with its parallel-twin engine, the headers for which can be seen in the photo above. Like the RC213V-S, we hopefully will see the finished machine at the Tokyo Motor Show, later next month. Until then, chew on these photos from the Honda stand in Milan. After we spotted the name “Africa Twin” in the USPTO online filings, buzz about a proper adventure-touring model from Honda have been swirling the internet, and even in print. German magazine Motorrad adds to the rumor mill, saying that the recently released privateer racer-only Honda CRF450 Rally will serve as the basis for the ADV model. Italian online site Moto.it confirms that the Africa Twin will be visually similar to the CRF450 Rally, and goes on to say that the new model will likely not debut in 2014, but instead Spring 2015. According to Moto.it, the Honda Africa Twin will have a strong off-road bias as an adventure model (a 21″ spoked wheel up front), be roughly 440 lbs at the curb, and have a displacement between 900cc and 1,000cc. Rumor: New Honda Africa Twin Coming? To the USA Even?! Rumors have long been around that Honda was looking to bring back the Africa Twin model to its line-up; and with a quick scrolling through Honda America’s “Adventure” category, one can see that the less-than-inspiring odd-couple that are the Honda NC700X and Honda CB500X, while fine machines they might be (though we’ve heard the word “soulless” used more than once to describe them), proper adventure-bikes they surely are not. With the tuning-fork brand putting out the stout Yamaha Super Ténéré, and Suzuki teasing the 2014 Suzuki V-Strom 1000, Honda and Kawasaki have been late to the Great American Adventure Bike party — though at least Team Green fanatics can pretend like the Versys is a viable option for this category. 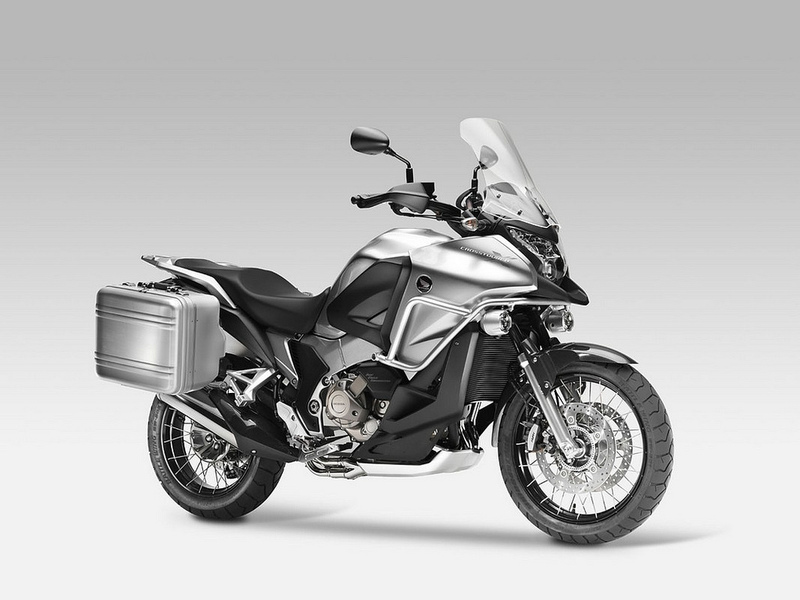 With Europeans having a variety of adventure motorcycles to chose from in the Honda brand, bikes like the Honda Transalp, Honda Crossrunner, Honda Varadero, and Honda Crosstourer, us Americans have been left out in the cold. Well, that might be set to change, as our stroll yesterday though the USPTO’s online database (check-out our find on upcoming Ducati Scrambler) has revealed that Honda Motor Co. has registered “Africa Twin” for use in the American market. 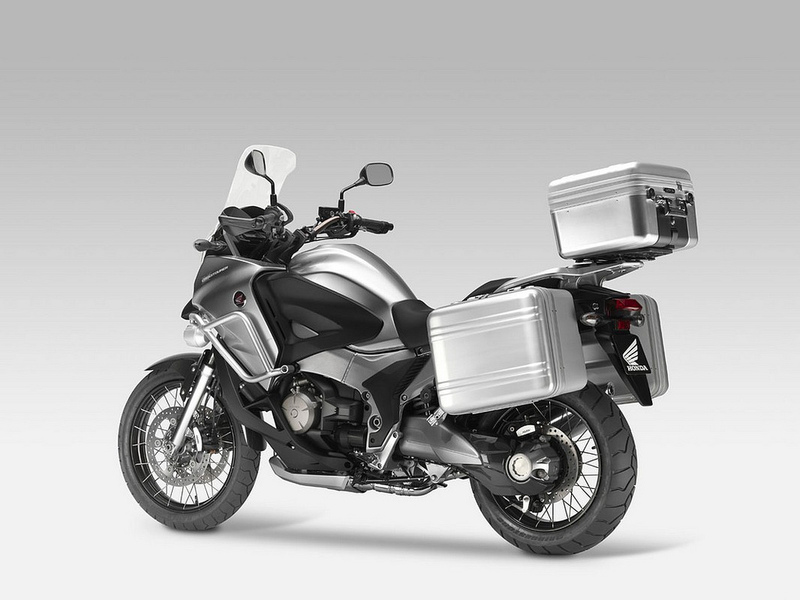 Could a proper adventure-tourer from Honda be headed our way?